Can the Celtics Claim the East? The Celtics got a taste of what it’s like to face a legitimate Western Conference power clicking on all cylinders when they bowed to the Denver Nuggets on Monday night. If you had clicked on over to Sportsbook Review prior to the game and check out a Sportsbetting.ag review, it would have told you why Sportsbetting.ag is one of the preeminent online sportsbooks in the industry, as well as letting you know that they had Boston favored by four points against one of the best in the West. It proved to be a glorious opportunity to bet with your mind and not with your heart as Denver not only covered the number but won the game outright by the score of 114-105. Once again, the Celtics build us up just to tear us down. Preceding that contest, the Green had won five of six, starting with an enormous blowout of the Golden State Warriors but then, just as quickly as they started this roll, it came to a screeching halt with a lackluster fourth-quarter effort where they were outscored by nine points, the precise margin of victory for Denver. Boston is now half a game behind Indiana for the fourth spot in the East and 2 ½ games behind the 76ers for the No. 3 seed. This column is being written prior to their tango in the City of Brotherly Love tonight so be prepared for a Thursday morning where the sky is the limit – or at least a conference championship – or gloom, doom, and a big ol’ broom right out of the playoffs once they begin. Watching the Celtics and investing your heart, soul, and maybe even a few bucks over at Sportsbetting.ag, has been like being married to Sybil, a woman with 16 distinct personalities. Although the Shamrocks may not be quite that complicated, they are difficult to love especially when they continually let you down. 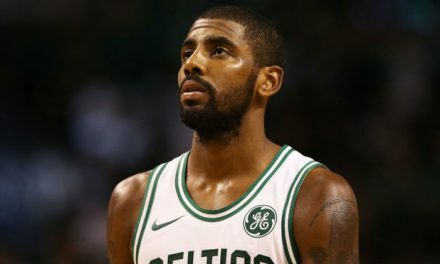 We expect the big games, the 30 plus point scoring nights from Kyrie, and the blossoming of a superstar in Jayson Tatum. Yet there are evenings, like Monday night, when Tatum plays more like a star-struck kid when he scored just eight points on 3-of-12 shooting over the course of 36 minutes of action. Another young gun, Jaylen Brown, is simply not the player he was last year, despite glimmers of excellence that occur all too infrequently. 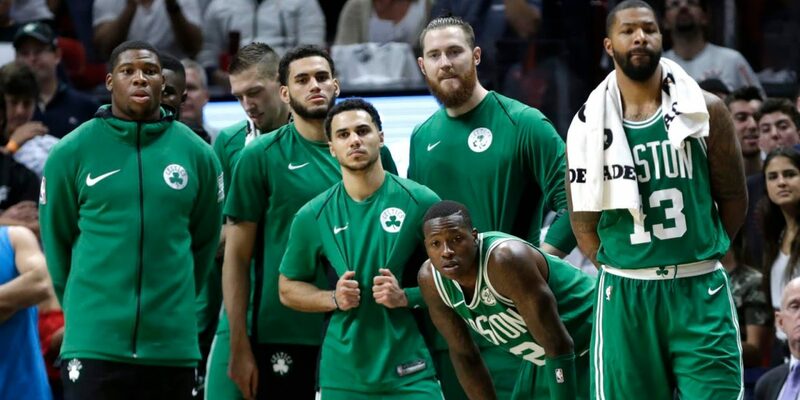 Terry Rozier continues to struggle in a backup role, after a stellar postseason last year in place of Irving, with visions of increased playing time and a much fatter paycheck somewhere else next season. Gordon Hayward, who was in concussion protocol for the game against Denver and therefore gets no grief for that loss, has been coming around but hasn’t quite made the bend. 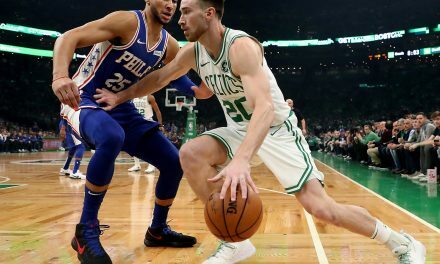 At least Hayward doesn’t grouse about being demoted from a starter to a role player, but then again, he is being paid over $30 million to ride the pine so let’s not get too carried away with him being a “team first” kind of guy. 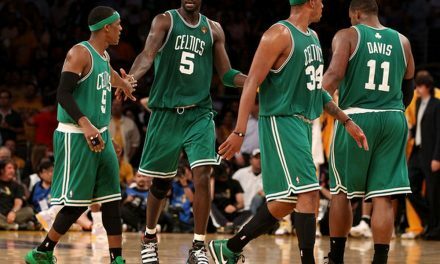 So who are the Boston Celtics? Well, as much as we may hate to say it, they are what their record says they are, which is a very good, although not elite, team. Boston is a tough out for any team in the league, but they are not good enough to derail a juggernaut over the course of a seven-game series. They are better than Indiana, this we know. And if you were to base your opinion on how dominant they have been against the 76ers this season, winning all three meetings this season and owning a 13-3 straight up mark over the last three years including playoffs, then it would be fair to say they are better than Philadelphia. But tonight will tell the tale because this is a game the Celtics absolutely need if they have any shot at ascending to the No. 3 spot and displacing the Sixers. If they win, or lose narrowly, there’s hope for them in the postseason, but if they get blown out then don’t make any reservations for a road trip to the Oracle Arena in June. Let’s kick back, grab a cold one, and continue to be vexed by a team that we love but doesn’t seem to love us back quite often enough. NextWhat Are The Bruins Chances Of Winning The Stanley Cup This Year?